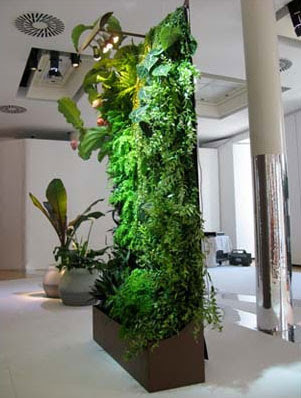 Some living wall pre-fab via Apartment Therapy , which showcased a new Patrick Blanc project/product, in collaboration with Alexis Tricoire, designer of the Folies Végétales 2007 exhibition for the Espace Electra in Paris. 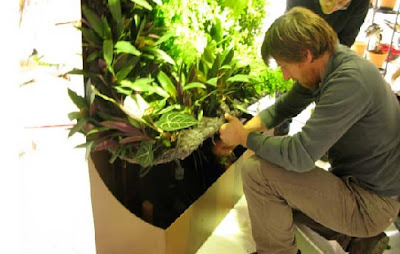 A modular system, scale for the home, offers everything one needs for interior landscape, including tray/reservoir, green screen, lighting, and plants. 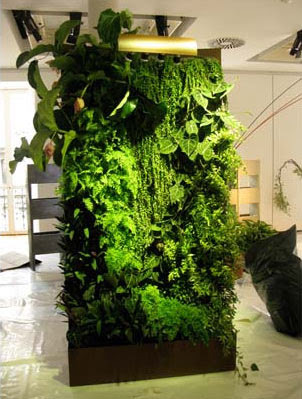 Additional info from AT: "A Blanc-Tricoire prototype for a free-standing vegetal "wall" was shown at this year's Milan furniture fair. ... 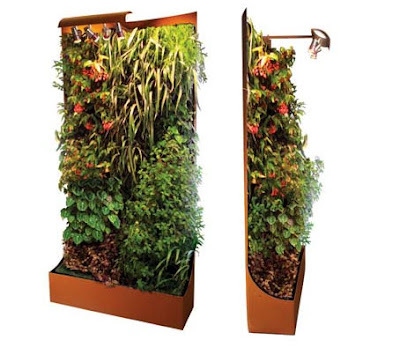 The Green Screen is a rust-colored lacquered metal structure with integrated irrigation and lighting systems that can be set up indoors or outside. Units are designed to work on their own or to be joined together to form a seamless wall that mimics Blanc's work, without his design fee." I'm wondering how much, and what shipping costs from France? A Trio of Bikes = A Tricycle?